Kenya Travel Advice - Is it safe to travel to Kenya? Kenya travel advice: Is traveling in Kenya safe? While this website does not provide detailed Kenya travel advice, here’s a general picture of the safety situation in Kenya. The riots that broke out after the Kenyan elections of December 27th, which killed 1,500 Kenyans and caused 600,000 to seek refuge, have largely ended after the peace agreement that was signed on February 2008. In most places, the riots and protests were spontaneous, but there have been indications that the violence in the Rift Valley province was organized. The peace deal is a power sharing deal between the Kibaki government and the opposition: both will enter the government and opposition leader Odinga will occupy a new post of prime minister under president Kibaki. Both Kibaki and Odinga have since called upon their supporters to stop the protests and return to normalcy. The riots have not been directed at foreigners, and there have been no reports of injuries to foreigners. 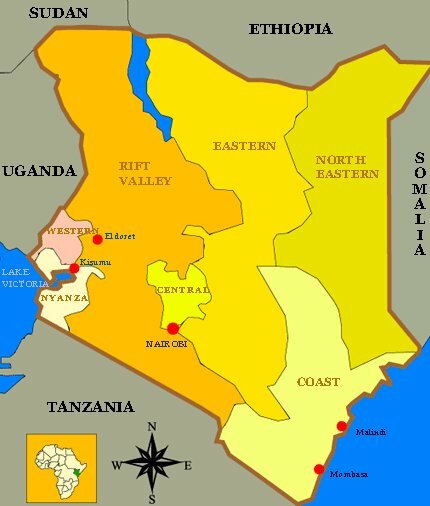 At this moment (April 2008) there may be some unrest in the west of Kenya: the Nyanza, Western, and Rift Valley provinces. This goes especially for the cities of Kisumu, Nakuru, Eldoret and Naivash. Also the slums around Nairobi (Kibera, Mathare etc.) continue to be a place of unrest, but these slums have always been unsafe for travelers. The parts of Kenya that traditionally draws most tourists – especially the Masai Mara and Amboseli parks in the south and the coast region in the east of Kenya – are largely quiet. Some tourists have continued their travels in these areas even during the riots, and their numbers seem to go up again. However, the situation in Kenya remains fragile in the aftermath of the riots, and new protests may still be organized. Police reaction Many refugees have still not returned home. Nairobi’s international airport, Jomo Kenyatta, has been open for international travel at all times. These links are to the homepages of these foreign missions because some embassies update their travel on different pages. When visiting these sites, please look around there for the most current Kenya travel advice.